Progressive Web Apps vs Native Apps: Which is Better Option? Home Blog Which One to Choose – Native Apps Vs Progressive Web Apps? 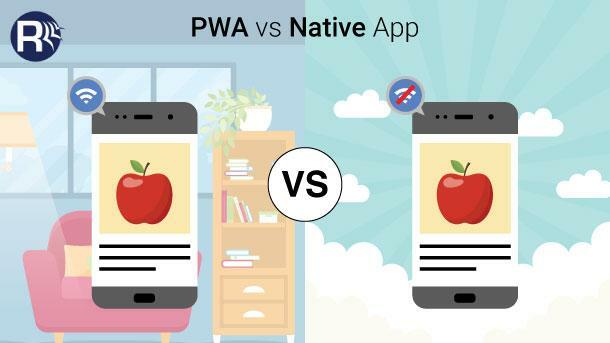 Which One to Choose – Native Apps Vs Progressive Web Apps? Apps have become an integral part of any brand’s digital marketing efforts. It is interesting to note that people consume twice the more content on mobile platforms as opposed to desktops. Progressive Web Apps (PWAs) is a development approach aimed to balance mobile websites and apps. They are fast, easy to install and carry almost the same functionality as native apps. Our article seeks to provide a comparison between Native Apps Vs. Progressive Web Apps. It will help understand the core differences between the two development approaches. Two years after its release PWA has indeed lived up to the hype. With tech biggies like Alibaba and Twitter committing to this fresh and most efficient way of building apps, through this blog we will share a comparative overview between PWA vs. Native web app development. What sets each other apart? Which is more sustainable? Cost implications? And, more. But, first, what exactly is a PWA? Cross-platform hybridization – the ability to develop a singular instance of an application that is functional on every platform be it iOS or Android is perhaps the most enticing feature of PWA’s. 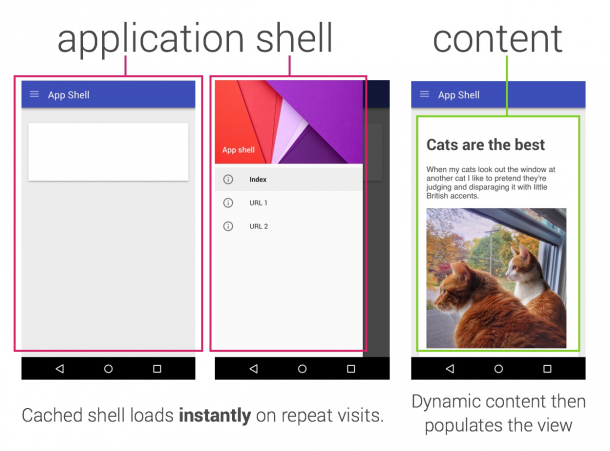 Before PWA’s introduction, entities (individuals, businesses, organizations) looking to develop an app must generate at least three separate native apps (Android, iOS, Windows) if they were serious about achieving reasonable adoption rates. This ultimately meant that such entities had to spend thrice the budget, expend thrice the effort and wait thrice longer for the development of their app solutions. PWA allows for the development of a single app that is not only cheaper and easier to build but also very much uniform across all devices. With native apps, a user has to first, discover the app solution – proceed to his/her native app store – before downloading the said app. This tripartite process is often one too many, and research has indicated that there’s an at least 20% drop in the number of potential users with each stage of the app-acquisition process. PWAs obliterate the need for app installation and app stores in general. They function in a runtime environment hosted atop the user’s web browser, and this short-circuit nature makes them easier to access (which invariably means more users) and maintain (from a developers perspective) than Native apps. Aside from the unified experience brought on by PWA’s across all platforms, bolstered by an extensive array of UX functions, PWAs, on the average deliver an all-round better UX experience than native apps. Just ask AliExpress who recorded a seismic 82% conversion rate after implementing a PWA app solution – more consumers were obviously finding it easier to navigate and use their app; ergo fostering increased sales. Stats like this illustrate just how groundbreaking PWA’s are. And while Native apps still lead the frontier in terms of apps that require sheer power, since they integrate better at the OS level with a device’s core mechanics, the increased stakeholder activity in the PWA cynosure portends one truth; they will only get better, better and better. At the moment, if you’re intent on – penetrating the market (desktop users inclusive); saving costs and time; and not too particular about device-specific features then PWAs are the way to go, they offer a myriad of advantages that cannot be matched by Native apps.